That is according to Sky Sports reporter Dharmesh Sheth. 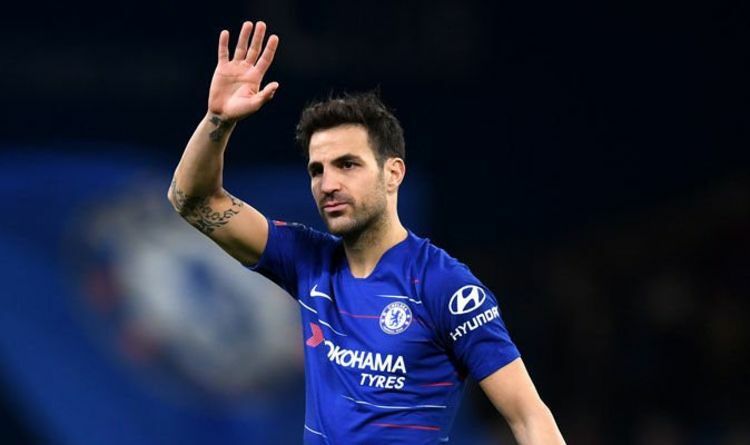 Fabregas, 31, emotionally waved goodbye to the Stamford Bridge faithful on Saturday as a move away from the club beckons. The Spaniard joined Chelsea in 2014 and has played 197 games for the club, but has struggled to feature regularly this season after the summer arrival of pivot Jorginho. Fabregas’ contract expires in June and Chelsea have a policy of only offering one-year extensions to players over 30. Sheth commonly obtains transfer scoops working for Sky Sports and recently revealed what he knows about the Fabregas situation. “We are told Chelsea midfielder Cesc Fabregas is close to a move to Monaco,” Sheth said on Sky Sports. “The transfer would see him reunite with his former Arsenal team-mate Thierry Henry. “Fabregas is into the final six months of his contract at Stamford Bridge. “Maurizio Sarri has expressed a desire to keep him beyond the summer. “But Chelsea’s policy of only offering one-year deals to players over 30 have proved an obstacle for Fabregas. It is understood Monaco are still struggling to agree a fee with Chelsea for the deep-lying playmaker, but a deal is expected to be completed this week. Team-mate Eden Hazard certainly spoke as if his friend is leaving the club, saying after Saturday’s 2-0 win over Forest: “In five years I can say that I was lucky to play with him. “Since the beginning when he came we won the double together. Top guy on the pitch and off the pitch.